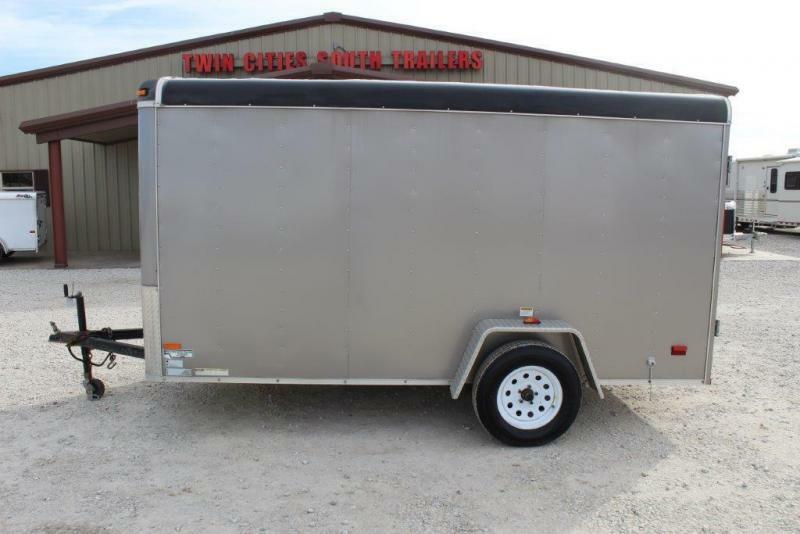 2013 Wells Cargo 8x16 bumper pull trailer with rear ramp, side entrance door, load light, 2 spare tire mounted, interior lights, 4 tie downs on the floor, 2 rows of E-track on the side walls and tandem axle. 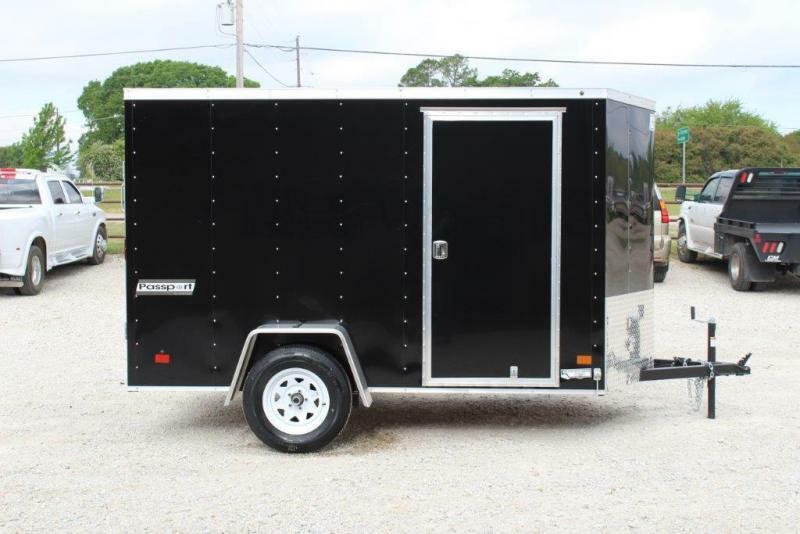 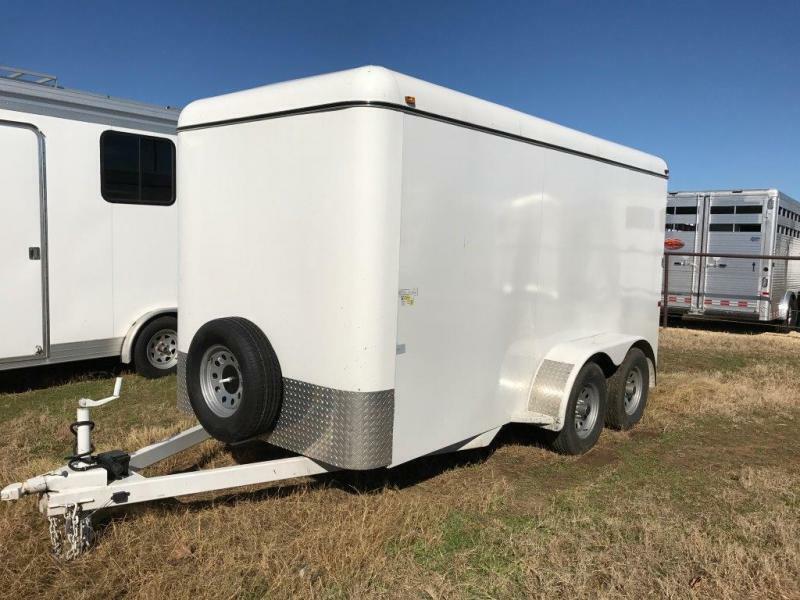 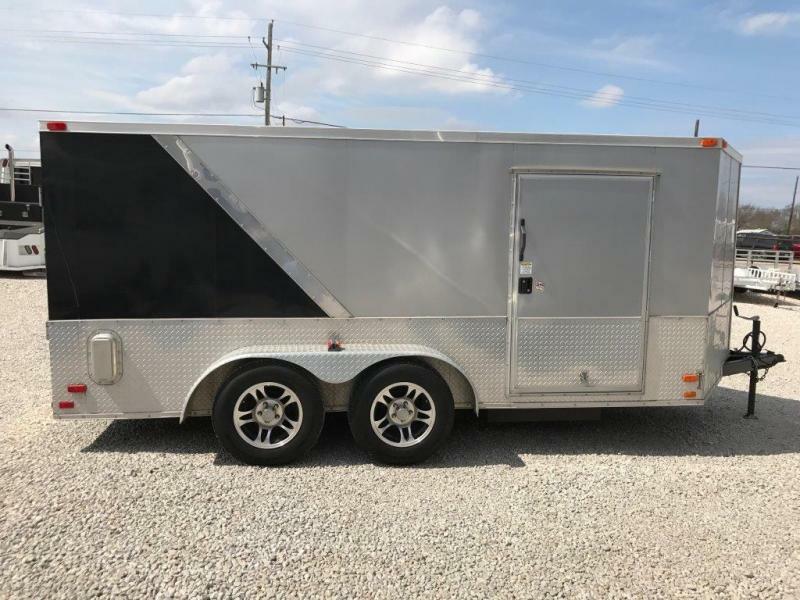 2013 Covered Wagon 7x16 Cargo Trailer with rear ramp, side door, roof vent, side vent, 30 amp service, battery, ST205/75R15 tires, aluminum wheels, Silver/black in color. 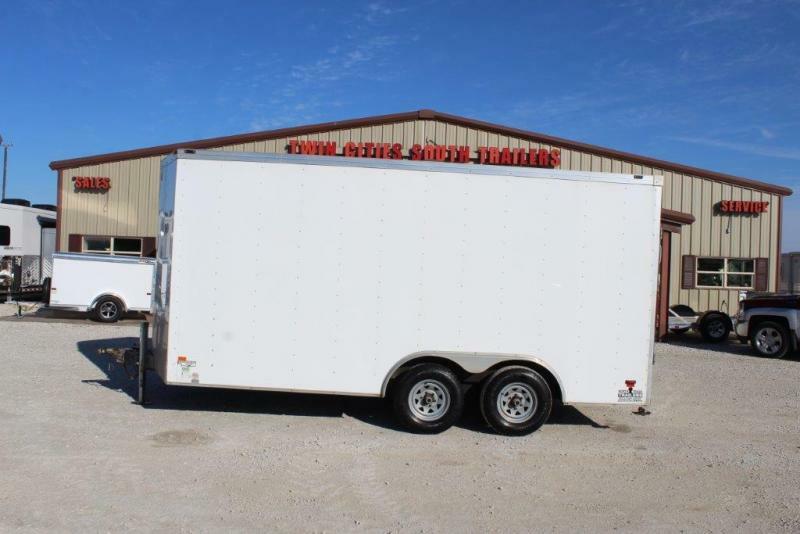 2014 Titan 6x14 cargo trailer with 34" side door, double rear doors, 225/75/15 tires, wood flooring, gravel guard on the nose and tandem axle.